Is your car damaged? 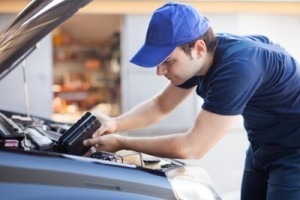 Do you need an experienced mechanic service? S & H Motors has years of experience in providing a superb car repairs Bournemouth for a wide range of satisfied customers. Our mechanics has years of experience in repairing a wide range of car models, and we specialise in repairing Italian cars in particular Alfa Romeo, Fiat and Lancia. So for a service like no other, choose S & H Motors today. Over the years we have found that car repairs in Bournemouth customers put their repair issues off. There can be many reasons for this, but often people worry that the costs for their particular problem will be very expensive. We encourage our customers to give our team a call as you will be positively surprised. In the past, many of our customers have found that their issue was not as expensive or time-consuming as previously thought. As the number one choice for Bournemouth car repairs, we cannot stress to you how important it is to get your car fixed if there is an issue. If you delay your repair work, you could be risking your own safety and that of your passengers. This is an unnecessary risk that can be avoided with a phone call to 01202 680660. In the very extreme cases, if you avoid car repairs in Bournemouth work, you will run the risk of damaging your car due to further damage. It can also lead to expensive fines which can always be avoided with a swift call to S & H Motors. If the exact service you require for your vehicle has not been listed, do not hesitate to get in contact with our team today. The above list is only a brief list of our car repairs Bournemouth services, and we have the skills to fulfil your other requirements. Many car owners often put off repairing their car as they assume that the repairs will be both time-consuming and expensive. By choosing our company, you can be assured that we provide an excellent car repairs Bournemouth service that is reasonably priced for the benefit of our customers. Most of our diagnostics work is half the cost of the dealers you find in the local area. If your car has a part that is in need of repairing, we cannot stress how important it is to ensure that the repair is conducted quickly. As previously mentioned, driving in a car in need of a repair will not only endanger your life but the life of your passengers and other road users. Don’t take the risk today when you can choose our car repairs Bournemouth company. All car repairs Bournemouth work provided by S & H Motors is fully guaranteed for 12 months. We specialise in the repair and servicing for Alfa Romeo and Fiat cars. As a local and independent garage, we take extreme pride in what we do and are committed to ensuring that our customers drive safe cars. What car models can be repaired by S & H Motors? If you have a model that is not listed, do get in touch with our team for more information on the type of Bournemouth car repairs work we do. If you require a car repairs in Bournemouth service like no other, choose S & H Motors today for a reasonably priced service. Call our team today on 01202 680660 or email us at shmotors@btconnect.com.